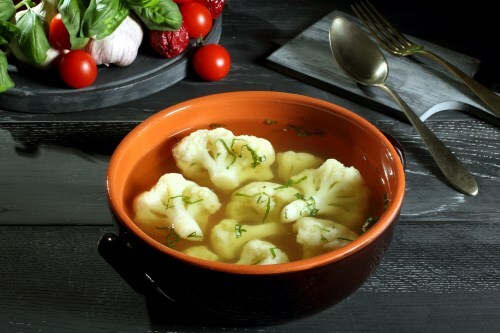 Put cauliflower florets into the steamer bag; add water. Season cauliflower with salt, thyme, garlic-pepper seasoning, and black pepper. Seal the bag and shake vigorously to coat florets in seasonings. Cook in microwave oven on High until cauliflower is tender, 3 1/2 to 4 minutes; let cool 2 minutes before opening bag.